I started birding in around June, when i had my new camera (Canon Power shot SX 400). I visited some birding spot near Pune and Pune outskirts and now I am having plenty of documentation on birds. So i just thought of sharing with you through this blog.. You may find interesting my new series of blog 'BIRDS OF MAHARASHTRA'. In this I will try to give information of some birds with pictures taken by me and some taken from the internet..
Let's start with some simple and common birds.. The Coppersmith Barbet known by other names like Crimson-breasted Barbet or Coppersmith has the scientific name Megalaima haemacephala is a bird with Grass green color feathers which is a resident of India and other countries of South Asia. About nine subspecies of Coppersmith Barbet is recognized. The other Indian local names of this species are tuktukiya, Basanta and thathera. 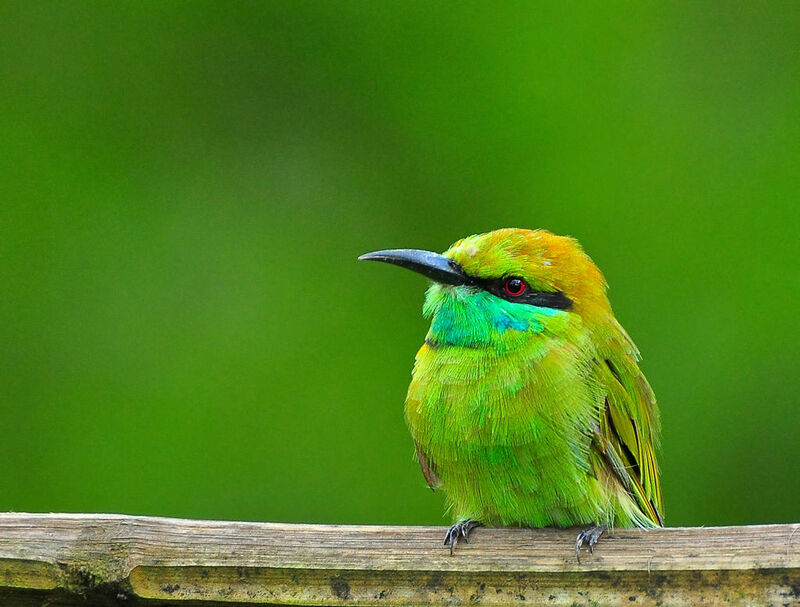 This grass green colored bird with crimson colored forehead and breast has a very distinct call which is more likely the sound made when the coppersmith strikes the metal with hammer. It has distinct colors throughout its body with red forehead, yellow colored eye-ring and throat patch with streaks underside and upper parts are colored green. Both males and females are alike.Juveniles look duller and don’t have red patches. It is best known for its metronomic call. Like other barbets, they build their nest by chiseling out a hole inside a tree. These 13–14 cm long warblers have short rounded wings and longish graduated cream tail tipped with black subterminal spots. The tail is usually held upright and the strong legs are used for clambering about and hopping on the ground. They have a short black bill. The crown is grey and the underparts are rufous in most plumages. In breeding plumage, adults of the northern population are ash grey above, with a black crown and cheek with no supercilium and rufescent wings. In non-breeding season, this population has a short and narrow white supercilium and the tail is longer. They are found singly or in pairs in shrubbery and will often visit the ground. In winter, the northern subspecies, has warm brown upper parts and a longer tail and has seasonal variation in plumage. The cattle egret (Bubulcus ibis) is a cosmopolitan species of heron (family Ardeidae) found in the tropics, subtropics and warm temperate zones. It is the only member of the monotypic genus Bubulcus, although some authorities regard its two subspecies as full species, thewestern cattle egret and the eastern cattle egret. Despite the similarities in plumage to the egrets of the genus Egretta, it is more closely related to the herons of Ardea. Originally native to parts of Asia, Africa and Europe, it has undergone a rapid expansion in its distribution and successfully colonised much of the rest of the world in the last century. The Indian grey hornbill (Ocyceros birostris) is a common hornbill found on the Indian subcontinent. It is mostly arboreal and is commonly sighted in pairs. It has grey feathers all over the body with a light grey or dull white belly. The horn is black or dark grey with acasque extending to the point of curvature of the horn. It is one of the few hornbill species found in urban areas in many cities where they are able to make use of large trees in avenues. The Indian robin (Saxicoloides fulicatus) is a species of bird in the family Muscicapidae. It is widespread in the Indian subcontinent, and ranges across Bangladesh, Bhutan, India, Nepal, Pakistan, and Sri Lanka. The males of northern populations have a brown back whose extent gradually reduces southwards with populations in the southern peninsula having an all black back. They are commonly found in open scrub areas and often seen running along the ground or perching on low thorny shrubs and rocks. Their long tails are held erect and their chestnut undertail covert and dark body make them easily distinguishable from the Pied Bush chat and the Oriental magpie robin. 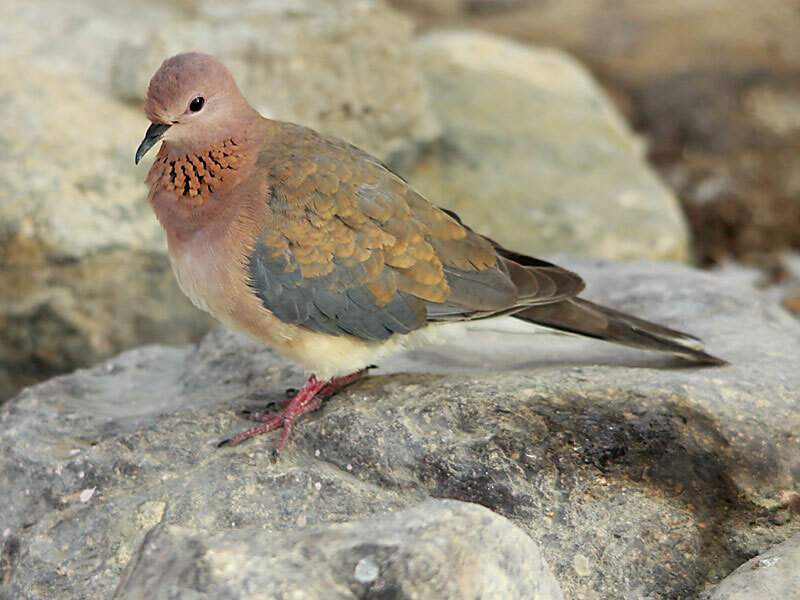 The laughing dove (Spilopelia senegalensis) is a small pigeon that is a resident breeder in Sub-Saharan Africa, the Middle East east to the Indian Subcontinent. This small long-tailed dove is found in dry scrub and semi-desert habitats where pairs can often be seen feeding on the ground. A rufous and black chequered necklace gives it a distinctive pattern and is also easily distinguished from other doves by its call. Other names include palm dove and Senegal dove while in India the name of the little brown dove is often used. It was introduced in Western Australia and has established itself in the wild around Perth and Fremantle. The laughing dove is a long-tailed, slim pigeon, typically 25 cm (9.8 in) in length. It is pinkish brown on the underside with a lilac tinged head and neck. The head and underparts are pinkish, shading to buff on the lower abdomen. A chequered rufous and grey patch is found on the sides of the neck and are made up of split feathers. The upper parts are brownish with a bluish-grey band along the wing. The back is uniform and dull brown in the Indian population. 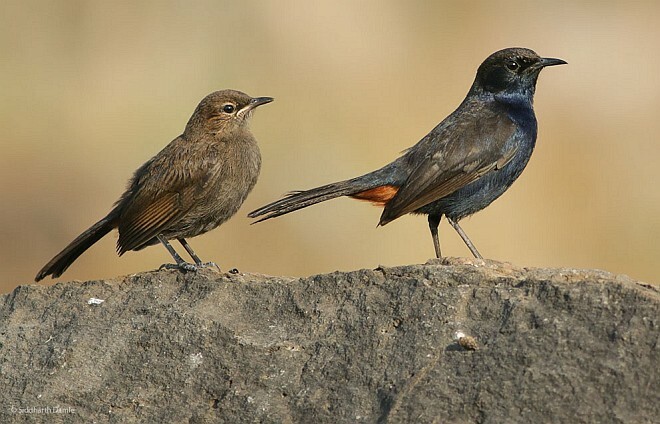 The African populations senegalensis and phoenicophila have a bluish grey rump and upper tail coverts but differ in the shades of the neck and wing feathers while aegyptiaca is larger and the head and nape are vinous and upper wing coverts are rufous. The tail is graduated and the outer feathers are tipped in white. The sexes are indistinguishable in the field. Young birds lack the chequered neck markings. The legs are red. The populations vary slightly in plumage with those from more arid zones being paler. Abnormal leucistic plumages have been noted. The chuckling call is a low rolling croo-doo-doo-doo-doo with a rising and falling amplitude. Great. One Suggestion. Since this series is Birds of Maharashtra, it will be really nice of you also give Marathi names with prominence.